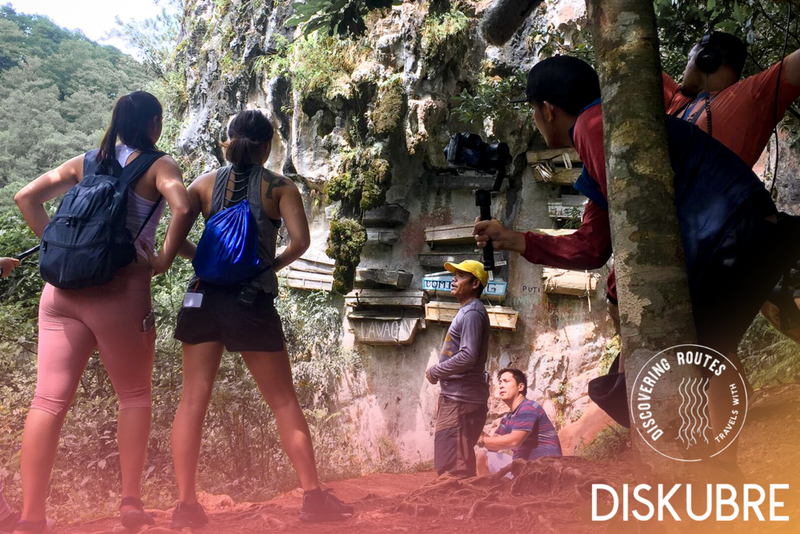 The series trailer for Discovering Routes travels with Diskubre opens with a mesmerizing incantation, a traditional prayer of an Ifugao shaman of indigenous people who live in the mountains of the Cordilleras, north of the Philippines. Right away, you’re transported to a different place of magical energy, ancient architectural wonders, and a utopic reality. The show’s new digital exclusive series features four young travelers who embark on some big adventures for a journey of self-discovery. New episodes are scheduled to be released on Thursdays at 5:00 P.M. pacific on DiscoveringRoutes.com beginning today. The four young adventurers of Discovering Routes travels with Diskubretake a trip to their land of ancestry for a journey of self-discovery. Frpm left, Feih Hidalgo, Elaina Ficarra, Alex Brown, and Calvin Santiago. Meet the new cast: Alex Brown, 22, is a young professional and from Sydney, Australia. Calvin Santiago, 21, is a junior in college from New Hampshire. Elaine Ficarra, 17, currently holds the title of Miss State Capitol's Outstanding Teen 2018 of the Miss America organization from Pennsylvania. Feih Hidalgo, 14, is a freshman high school student from the Bronx, New York. Join the quartet’s adventures as they explore the mountains of the Cordilleras, come face-to-face with the hanging coffins of Sagada, and witness ancient rituals performed by local shamans. The series also presents a rare feature on an icon of Philippine independent cinema, legendary filmmaker Kidlat Tahimik. The show’s official partners, the Philippine Consulate General-New York and the Philippine Department of Tourism–New York, recently hosted an exclusive advance screening at the Philippine Consulate in New York. 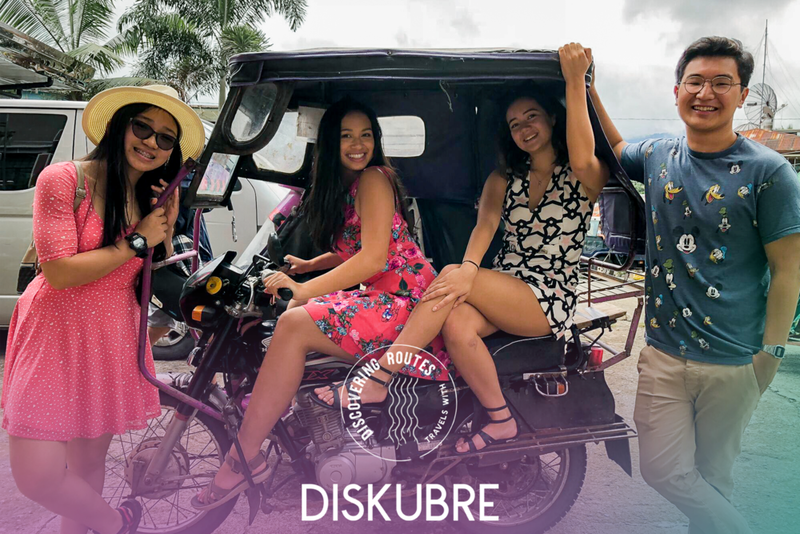 Discovering Routes travels with Diskubre is a partnership with the Philippine Consulate General in New York (PCGNY) and the Philippine Department of Tourism–New York (PDOTNY). New episodes premiere Thursdays at 5:00 P.M. (Pacific), on www.DiscoveringRoutes.com.